The favorite hunting rifle of John James Audubon (1785–1851), his Long Tom, was the top selling lot of the day fetching $192,000. 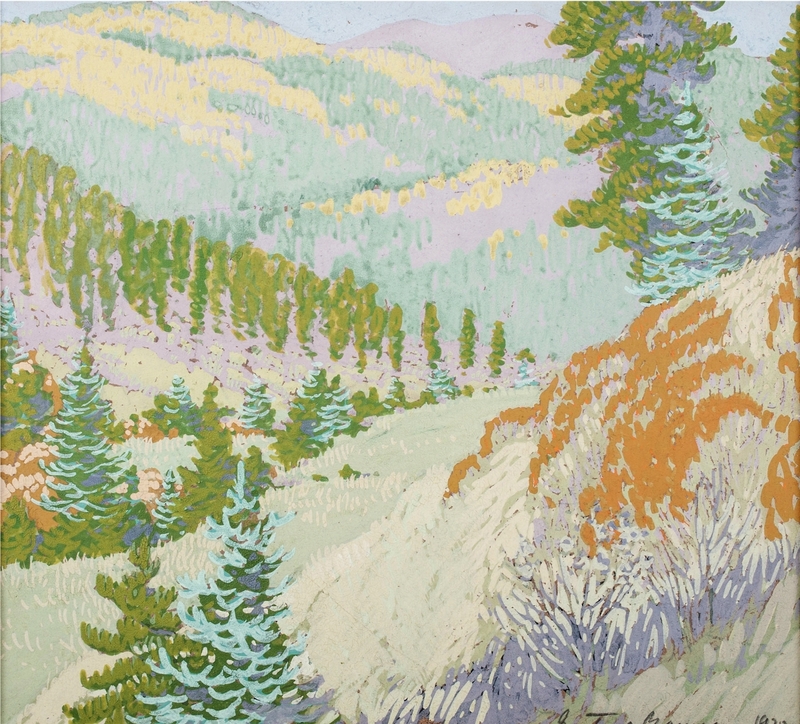 CINCINNATI – Four historic lots created a bidding frenzy that sent prices soaring past estimates into six figures at Cowan’s Fall Americana, including fine and decorative art, premier auction on October 6. The $1.4 million auction saw nearly 1,000 bidders participate in person, over the phone or online. As expected, the favorite hunting rifle of John James Audubon (1785-1851), one of America’s most acclaimed naturalists, was the top-selling lot of the day, fetching $192,000, more than double its high estimate. Audubon’s journal indicates, and family records support, that his Long Tom fowler was his preferred hunting rifle during the period that he was preparing his seminal book, The Birds of America. Three bidders, two in the room and one on the phone, bid at a furious pace, sending the rifle past its high estimate of $80,000 in under 20 seconds. After crossing the $100,000 mark, one of the floor bidders bowed out leaving a one-on-one battle between the floor and the phone. Bidding continued at a brisk pace for another minute before the hammer fell, resulting in the total price realized of $192,000. It was a record-breaking day at Cowan’s as the record sales price for sand bottles was broken not once, but twice in the matter of five minutes. A pair of sand bottles from Andrew Clemens (1857-1894), one of the true masters of the form, was offered back-to-back mid-way through the auction. The first of the two, an inverted bottle depicting a nautical scene, was the rarer form and was therefore expected to have the higher sale price. When it sold for $108,000, besting the previous record by more than $20,000, few suspected the record would last for less than two minutes. The same two bidders gathered themselves and went at it again on the second lot, this one depicting an American spread-winged eagle underneath a flag of 36 stars on one side and a floral bouquet below the name Mrs Eliza B. Lewis on the other. Bidding proceeded quickly, and as the asking price approached $100,000, the salesroom began buzzing. When the bottle finally sold for $132,000, applause burst out in the room as onlookers shook their heads in disbelief and amazement. Andrew Clemens (1857–1894), sand bottle depicting an American spread-winged eagle underneath a flag of 36 stars on one side and a floral bouquet below the name Mrs Eliza B. Lewis on the other. When the bottle finally sold for $132,000, applause burst out in the room. 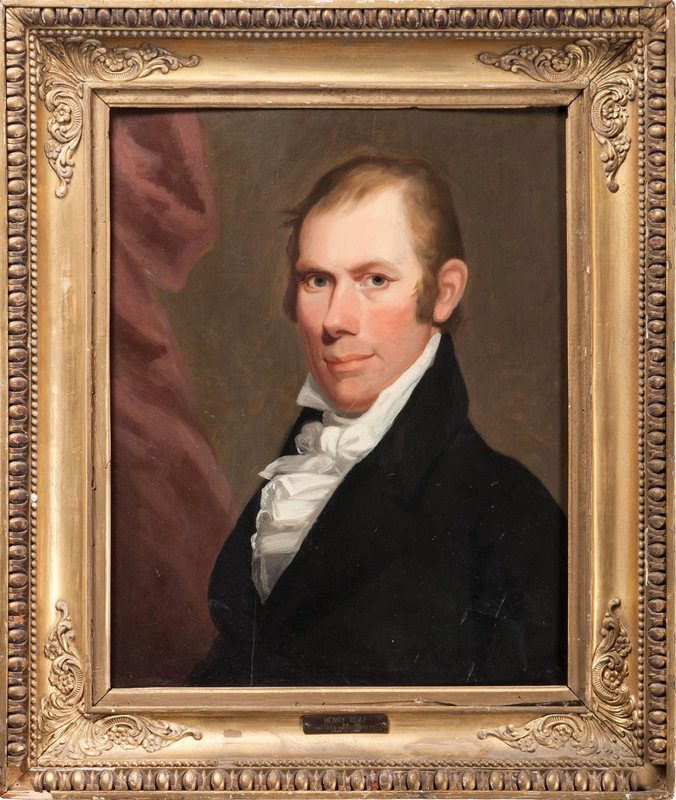 Rounding out the group of six-figure sale prices was the first portrait of Henry Clay (1777-1852) by famed Kentucky portraitist Matthew Harris Jouett (1788-1827). The portrait drew significant interest regionally, with many Kentuckians on hand for a chance to add it to their collection or to simply see it in person. Bidding escalated quickly between five phone bidders and multiple floor bidders before eventually selling for $108,000. The downturn of the antique furniture market has been the talk of the collecting world for several years now, but there were significant signs of life throughout the auction as the much-maligned category beat its low estimate on the day. 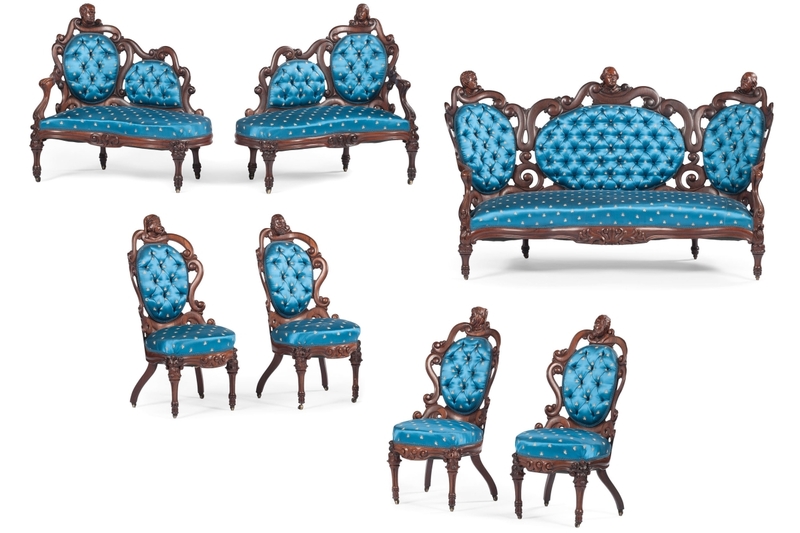 The top furniture lot was a John Henry Belter parlor suite with political and literary portrait busts that sold for $48,000. Other furniture highlights included a rare paint-decorated chest of drawers by Samuel Dunlap of New Hampshire, which sold for $42,000; and an inlaid Kentucky desk and bookcase purportedly owned by Isaac Shelby that sold for $36,000. It was also an excellent day for American fine art. Highlights include a landscape by Gustave Baumann (1881-1971) selling for $17,220; a Henry Faulkner (1924-1981) still life for $15,600; a Guy Carleton Wiggins (1883-1962) oil on canvas of the New York City skyline for $12,000; a Frank Duveneck (1848-1919) portrait for $12,000; and another Faulkner piece, entitled “Friends of Alice,” for $12,000. As would be expected of a Cowan’s Americana auction, the day featured a significant number of American folk art lots. An imposing, seven-foot tall cigar store Indian was the top lot of the category, selling for $12,600. Other lots included a Massasoit standing Indian weathervane for $11,400; a John Conger cake board for $9,000; a copper running fox weathervane for $7,995; identified Massachusetts leather fire buckets for $7,200; and a painted canvas fireboard for $7,200. The auction did include some traditional fine and decorative art. A Tiffany Studios hanging shade in Greek Key pattern was the top lot of the category, selling for $22,140. Other highlights included an Edouard Léon Cortès (1882-1969) street scene for $16,800 and a 16½-inch Serapi rug for $10,200. Prices, with buyer’s premium, as reported by the auction house. For further information, www.cowanauctions.com or 513-871-1670. The first portrait of Henry Clay (1777–1852) by famed Kentucky portraitist Matthew Harris Jouett (1788–1827) sold for $108,000.